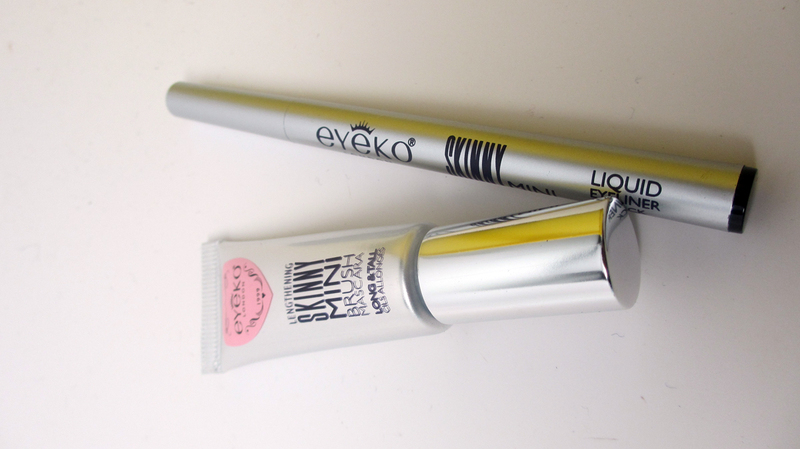 I'm a big fan of the UK Brand Eyeko. And now they're carrying them at Sephora, yay! Recently I got to try out a very useful set which everyone can use. It's especially travel friendly. Check it out! I was sent a mini set of their famous liquid liner and mascara. They're smaller than the original versions, which I love because I can throw them in my travel makeup bag and i'm good to go. I've always loved the squeeze tube packaging for their mascara. For some reason, I think you get more use of the product that way because you can squeeze around the formula inside. Speaking of formula, it is more of a wet consistency which I prefer - it really coats my itty bitty lashes. 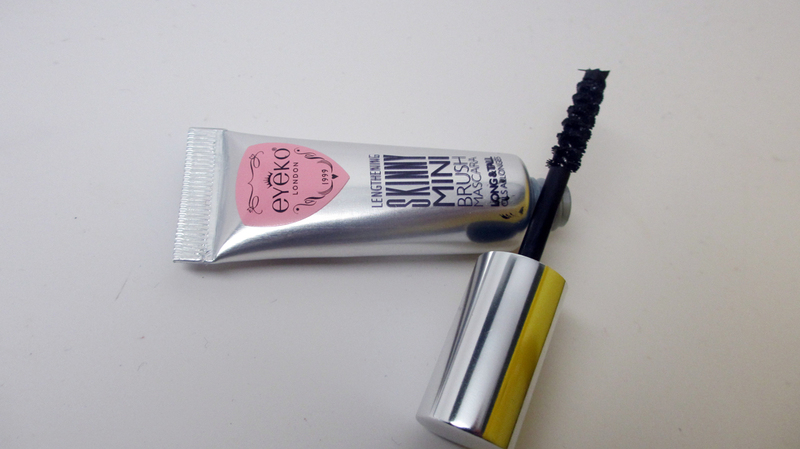 Plus it has all sorts of goodies inside like Vitamin B and natural oils to nourish your lashes. 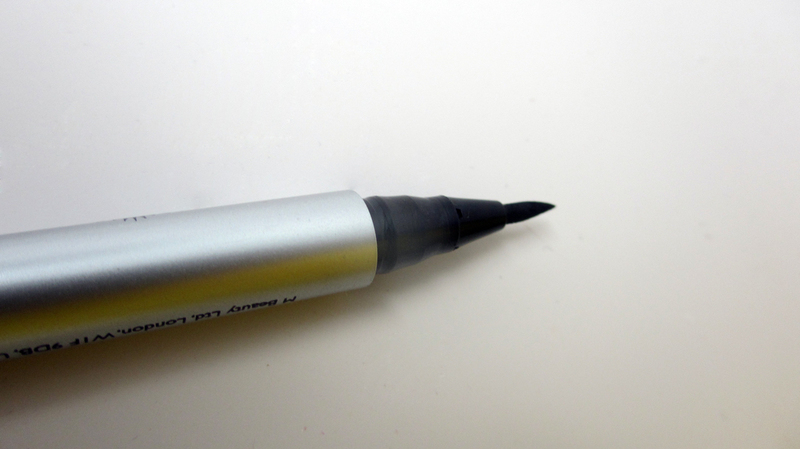 And the brush is a pretty cool spiral shape that helps to declump. 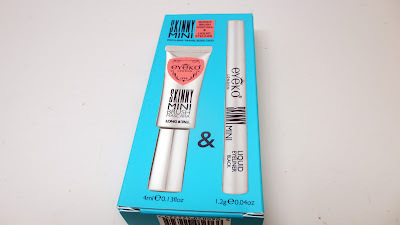 I've used Eyeko's Skinny Felt Tip Liquid Liners before and I've always been a fan. Unlike some liners I've used in the past, it is always super dark, inky and I don't have to worry about streakiness and whether or not it will have a good ink flow - I've had problems with NYX and Sleek Felt Tip liners doing this before. The Eyeko pen easily glides over the eyes and will cover shadow, lash bands, name it. 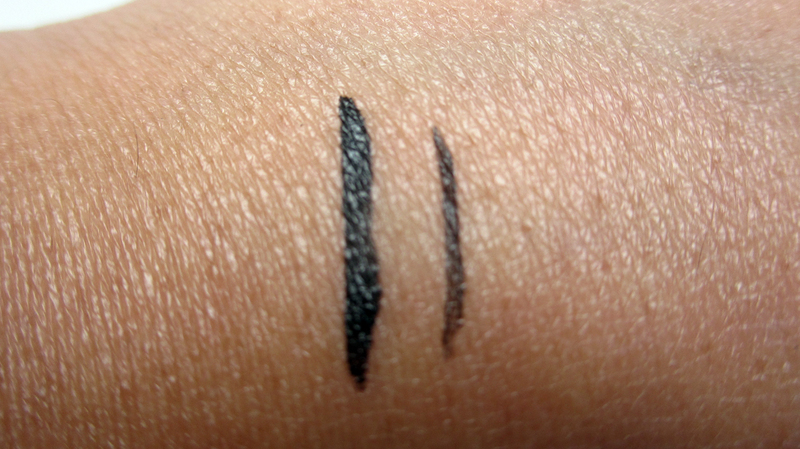 It's pretty easy to use and as you can see you can use more pressure for a thicker bolder line, or less for a thinner line. Did I mention it lasts all day? No worries here about flaking or fading. Definitely one of my top liners. I definitely recommend this set. It's found a home in my travel makeup bag. I used it over Thanksgiving Break when I was out of town and the minis definitely make the cut. 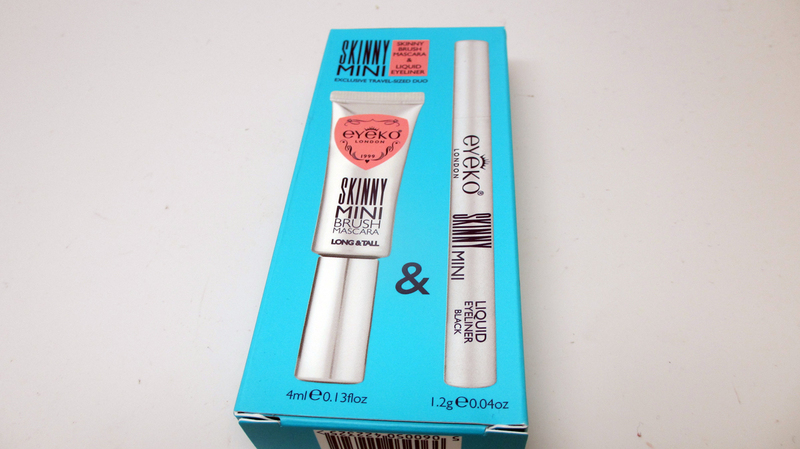 You can find this set at www.sephora.com at a pretty reasonable price of $16 for both items. What a cute mini? Just in time for the holiday travel season. I need to give this set a try. Makeupbyeman always talks about their mascara.Thanks for sharing Ren!